Jockey Hugh Bowman believes Winx could have won a Melbourne Cup if she had been set for it. There’s one question Hugh Bowman has been asked over and over again about Winx. Could the greatest racehorse of our time have won the Melbourne Cup? And it’s a question the star jockey can only answer with another question. “I believe she would have won it, but would she still be here now?” Bowman said. The 3200 metres of the Melbourne Cup is 1000m further than seven-year-old Winx was ever asked to run and her tally of 24 Group One wins includes four George Ryder Stakes (1500m), four Chipping Norton Stakes (1600m) and four Cox Plates (2040m). 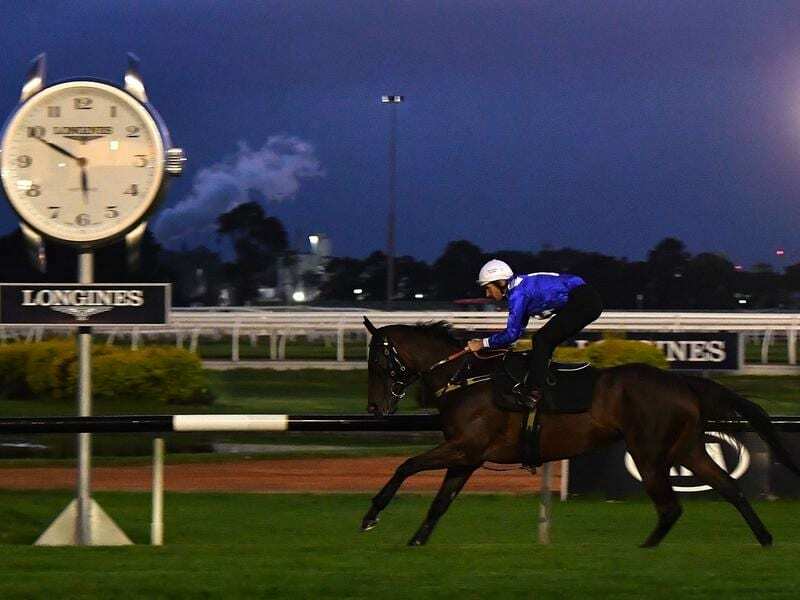 Bowman took to the track for a final work-out on Winx at Rosehill on Thursday morning ahead of the Queen Elizabeth Stakes at Randwick this weekend – bringing to an end a four-year winning streak that has captivated the nation. But that four-year streak would not exist at all, Bowman believes, if trainer Chris Waller had not been able to resist the temptation of the short term glory of winning as many races as possible. “I can honestly say that I feel that she’s as well going into this Saturday as she’s been ever in that four years,” he said. “That says a lot to her constitution, a lot to the management of Chris Waller and his discipline over the years not to just go that extra run here or there. The result, Bowman says, is a champion racehorse beloved by Australians who has been given the time to truly prove herself. “The longevity … is one of the things that’s enabled that because she’s kept going for another season, and another season and all of a sudden the attention on her just builds and builds,” Bowman says. And all that attention will be focused on Randwick on Saturday when Winx takes to the track one last time in front of a sell-out crowd.